The first steps on the pathway to sustainability can often be seeen in initiatives that seek to reduce waste and pollution, increase water and energy efficiency, improve people’s health and change car-based transportation patterns. Social marketing is a key approach whose aim is to influence and support constructive change in environmental, social and health campaigns. Social marketing is an adaptable approach, increasingly being used to achieve and sustain behaviour relevant to a range of social issues and topics. It is significantly different from commercial marketing despite the fact that its basis lies in the borrowing of the latter’s concepts and tools. One of the main differences is that social marketing is charged with increasingly complex and ambitious goals – often with the provision of very few resources. The accompanying site blog (above menu) looks at one underlying framework – Cialdini’s six principles of persuasion . More on this and other frameworks and guides that support social marketing campaigns that work are provided through the links below. Who do you think you are? An examination of how systems thinking can help social marketing support new identities and more sustainable living patterns This 2010 paper by Denise Conroy and Will Allen in the Australasian Marketing Journal looks at how systems thinking could inform more effective social marketing initiatives. They point out that many campaigns leave fundamental systematic environmental challenges unchanged, and may even undermine any considerations that people have around the change direction. They suggest that changing behaviour is ultimately about helping society and individuals in reframing their identity. A systems theory approach, which acknowledges society as a complex adaptive system, is suggested as providing a useful framework for social marketing campaigns in supporting new identities and increasing sustained behavioural change. Using the Six Principles of Persuasion to Promote Travel Behaviour Change This paper by Rita Seethaler & Dr Geoff Rose shows how social psychology offers a series of six specific persuasion techniques that are able to reach beyond the mere raising of awareness and knowledge. Appealing to deeply seated human needs, the six persuasion principles of Reciprocity, Consistency, Social Proof, Authority, Liking and Scarcity can be translated into practical communication strategies that will increase the personal involvement of a target population and secure a lasting change in behavioural patterns. Fostering sustainable behaviour Numerous initiatives to reduce waste and pollution, increase water and energy efficiency, and alter transportation patterns are first footholds in the transition to sustainability. This site by Doug McKenzie-Mohr was developed for the people who design these and other programs to foster sustainable behavior. Its purpose is simple: to provide information that can enhance the success of their efforts. The site consists of six resources:an online guide which illustrates how to use community-based social marketing to design and evaluate programs to foster sustainable behavior; searchable databases of articles, downloadable reports, graphics, and case studies on fostering sustainable behavior; and a listserv for sharing information and asking questions of others. Understanding Voluntary Travel Behaviour Change This paper by Elizabeth Ampt takes an in-depth look at the concept of voluntary behaviour change. It examines the change tools that can be offered, and then devotes attention to unravelling the differences between a social marketing approach and a community development approach to voluntary behaviour change. 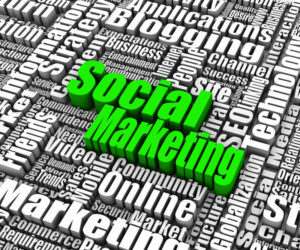 It concludes that, while both can be effective, there are some risks in using a social marketing approach when the marketing aspect is overemphasised. The “Seven Doors” social marketing approach The “Seven Doors” social marketing approach was developed by Les Robinson, a former campaign director and now consultant for Social Change Media. This paper was originally presented by Les to the Waste Educate 98 Conference.This model allows us to identify which elements are already being fulfilled, and so concentrate resources on the gaps in our marketing campaigns. The seven elements are – knowledge, desire, skills, optimism, facilitation, stimulation and reinforcement. Carrots, sticks, and promises: A conceptual framework for the management of public health and social issue behaviors. In this paper, Michael Rothschild presents a framework that considers public health and social issue behaviors and is based on self-interest, exchange, competition, free choice, and externalities. He points out that’social marketing’ has become a generic term that encompasses education and marketing but too often has been co-opted by education and mass communication. However, exchange and transactions are necessary and important in a framework of behavior management.Targets that are prone, resistant, or unable to respond to the manager’s goal behave on the basis of their motivation, opportunity, and ability and on a manager’s use of the strategies and tactics inherent in education, marketing, and law. Developing social marketing to its next level of growth and contribution calls for a wider focus on behavior management. World Social Marketing Conference Here you can download all the keynote addresses from this 2008 conference.